KAV 2013 inherits all the strengths of the previous version and adds increased speed and efficiency based on new technologies to its current version. It is one of the most complete antivirus application that you can ever imagine. It makes use of the second-generation heuristic analysis principles to find even unknown threats. The interface is pleasant and makes you believe that you are using an application that's only focused on basic functions, although whatâ?™s hidden under the hood is loads of powerful tools. Cloud is one of the core technologies in KAV 2013. The cloud-based Kaspersky Security Network gathers data from millions of participating usersâ?™ systems around the world to help defend you from the very latest viruses and malware attacks. All the Potential threats are monitored and analyzed in real-time and dangerous actions are completely blocked before they can cause any harm. Going a step further, Kaspersky Antivirus 2013 analyses and controls the actions of programs that have vulnerabilities present in it, so they can't cause any harm. Kaspersky Antivirus 203 is capable not only to discover and remove threats on your computer, but also to protect your email client, instant messengers and web traffic, regardless of the browser. 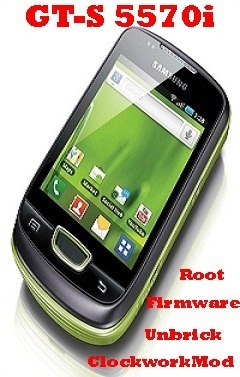 *Critical Areas Scan – to verify the objects that are loaded with the operating system at startup. Virus definition updates however are delivered to your computer in no time and you won't even be bothered by this task. There are also a bunch of other useful tools to lend you a hand and stay on the safe side, including the “Kaspersky Rescue Disk”, which is a bootable CD or USB flash drive to detect and remove infections with ease, a “Privacy Cleaner” tool, a “Browser Configuration” utility to make Internet Explorer a bit safer and “Microsoft Windows Troubleshooting” to check and optimize Windows security settings. Kaspersky Antivirus 2013 is thus full of goodies. We all know that Microsoft will be releasing its new version of the OS and thus Kaspersky Antivirus 2013 is fully compatible with its latest operating system – Windows 8. In addition, Kaspersky Now – a new application that has been developed to support Microsoft's new user interface that lets you monitor your PC's security status and launch vital security features. 1>> Download the special setup file of Kaspersky Antivirus 2013 from here. 2>> Once the download completes, locate the downloaded file and double click on the setup file. 3>> Once the installation begins, a check for the new version if available is done via Internet. 4>> A new window opens up where you will have to click on big green “Install” button. 5>> The installation of Kaspersky Antivirus 2013 will begin and take a few minutes to completely install. 6>> Click on “Finish” button at the end of installation to start your application. 7>> In the next Window, you will be asked to enter the activation code. So enter the Kaspersky Antivirus 2013 activation code or license key and click on “Next“. 8>> Next, your KAV 2013 activation code will be validated to check whether it is genuine or not and further will be activated. Click on “Finish“. 9>> In the screen shot below you see that KAV 2013 is completely activated with 91 days license key. 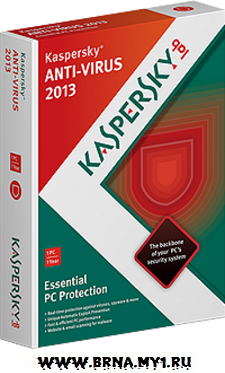 10>> Now enjoy the premium security on your Internet with Kaspersky Antivirus 2013. Even if an unknown piece of malware manages to get onto your PC, Kaspersky's unique System Watcher will detect dangerous behaviour and allow you to undo or rollback most malicious actions. Even if your PC and the applications running on it havenâ?™t been updated with the latest fixes, Kaspersky Antivirus 2013 can prevent exploitation of vulnerabilities. With antivirus information provided from the cloud, Kaspersky has significantly reduced the size of the antivirus databases stored on your PC which helps to improve performance and reduce the time taken for installation and updates. When itâ?™s installed on a laptop that is running on battery power, Kaspersky Antivirus 2013 automatically reduces its usage of resources to help increase the time the laptop can run before needing to be recharged. The main interface window is optimized to help boost performance and ease of use for many popular user scenarios including launching scans and fixing problems. Virtual Keyboard allows you to use mouse-clicks to enter your banking information online so your personal information canâ?™t be tracked or stolen by keyloggers, hackers or identity thieves. A special Gamer Mode ensures an uninterrupted game experience while still keeping you secure. In addition to being fully compatible with Windows 8, Kaspersky Antivirus 2013 includes features that provide even greater protection. Please read the Note if you don't get complete 91 days. This activation code works perfectly on new installations only and not on already installed KAV 2013. That is, if you already have Kaspersky Antivirus 2013 installed on your computer, you need to uninstall it, download the new setup file from here , install it and then use the activation code. If you try to use this code on already existing Kaspersky Antivirus 2013 on your computer, you will get an error saying “Trial Expired”. If you have have already used this key previously for KAV2012, then you will get just 30 days and not the 90 days. OS Compatibility : Kaspersky Antivirus 2013 is fully compatible with Windows XP, Vista, 7 & 8 (32 & 64bit). - 1 GB available RAM (32-bit) or 2 GB available RAM (64-bit).